GASCOIGNE PRIMARY SCHOOL, BARKING AND DAGENHAM. 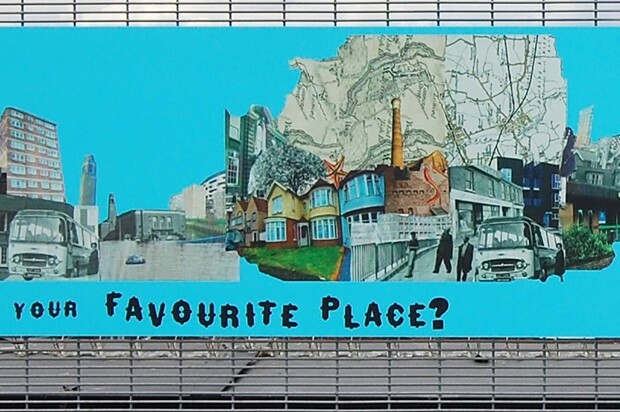 This project brief was to design a collaborative artwork to get produce a permanent artwork which got the school community talking about their local environment. 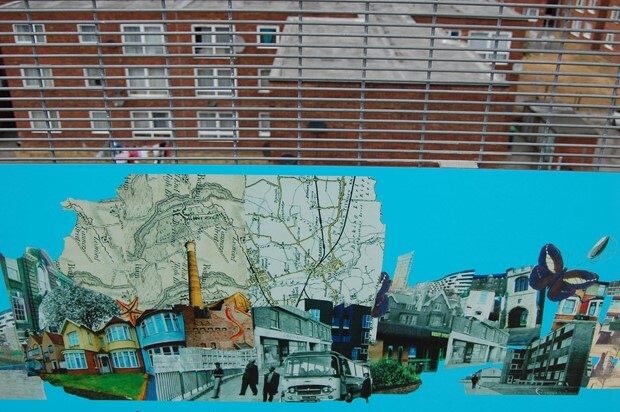 330 children worked with collage to make a series of panoramic views of Barking, past, present and future. 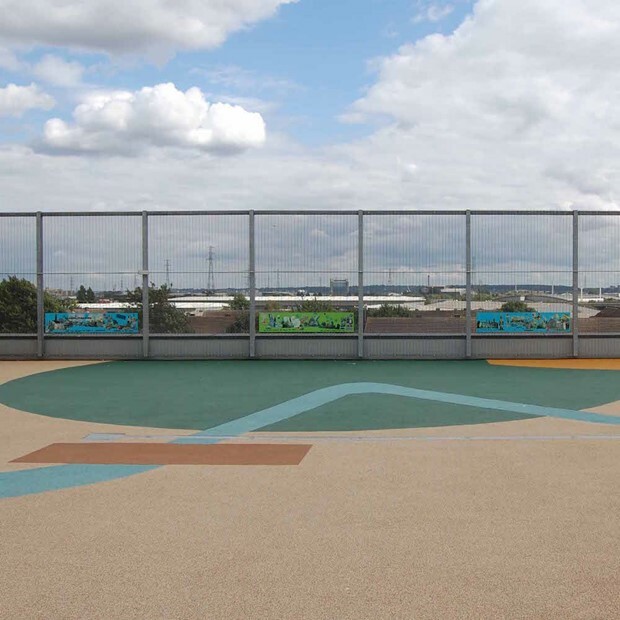 The printed panoramas act as a way to encourage pupils to engage with the views from their rooftop playground, and to think about the changes that have, and will be, taking place in their borough.